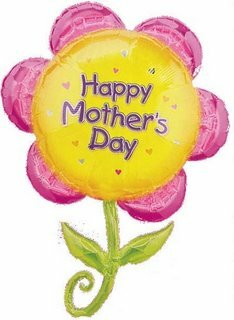 So, for everyone else in the world apart from us here in the UK, it was Mother's Day last weekend. I only realised when my husband's aunt and uncle in Australia called to wish me. It felt kind of like a punch to the gut. I'd already struggled with my feelings about Mother's Day when it when happened months ago in March (it was March? ), and here's me forced to think about it again. To make it worse, I knew I had to finish up some Skype credit, and usually this just means calling my dad in America, but I thought about calling my mom instead. The last time I spoke to her it was just after Christmas, maybe early January, and that had been our first conversation in years. The one where I told her she was a grandmother. She sent some presents for Boy, but I couldn't bring myself to call her again and instead hid behind email (as I always do). I use the time difference as an excuse not to call her, or that I'm too busy with Boy to do it. The truth is, I'm just scared. Talking to my mother makes me feel like a little kid again, trying to win her affection and attention, but I know it'll never work. I get my hopes up with every nice thing she says about me, but then everything gets crushed when she seems (as always, I never learn) to ask more and more questions about my brother or when she stops listening to my answers to her questions. I don't know what to do.